Ready to return to Rapture? On your Apple devices? 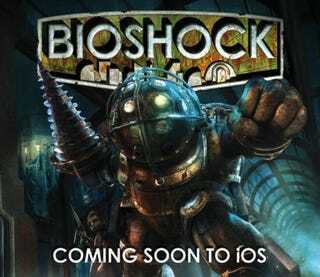 Today, 2K announced that, yes, BioShock is coming to iOS. Details are scant, and the teaser image says the game is "coming soon to iOS." Originally out in 2007, BioShock has been released on Xbox 360, PC, PlayStation 3, and Mac. This is the first portable version of the game.